Female fronted bands have also been in the minority despite the amazing music they release; Paramore instantly spring to mind, along with newcomers Wolf Alice and their nonchalant alternative melodies. Based on their debut The Parts We Save, Heel are no exception and will soon add their name to the list of festival favourites. Opener An Apology is immediately reminiscent of Muse; the intro and subsequent melody reek of Drones with the fuzzy and distopian sounds. The band don’t fail to put their own stamp on the song though; the apathetic vocals slowly build as the frustration of the lyrics does, resulting in a stomping chorus which falls into the apathetic lyrics once more, causing a sense of excitement towards the song. Selfish Burn is less aggressive in sound but proves to be just as catchy as the first. The songwriting employed on this song seemingly follows that of Wolf Alice; simple lyrics, often repeated, yet never failing to get you involved in the song. The song also juxtaposes with the following Yellow And Bliss, possibly the heaviest sounding song on the album. The raw vocals culminate in a softly sung chorus, only adding to the feeling this album has no clear musical direction yet still manages to work. Nothing New, a poppy future festival favourite, is nothing new to the genre that Heel fall into but the visions of a huge crowd dancing and clapping along are hard to ignore. Up to now, the hard exterior of cool frontwoman Margarita has remained in tact, but on track Shatters it does that. Repeated cries of “how many times will it hurt?” are matched word for word with the emotion of Margarita and the gentle guitar and simmering drums complete the song. Shatters marks a turning point in the album; follow up Cool starts as a carbon copy before elements of the rocky first half of the album are employed. Depressing lyrics are kept but a blistering bass riff added to try and keep the attention of the audience, yet it still proves to be the most throwaway song on the album. Keep Running Back To Me marks a welcome return to their winning formula; rolling drums tempt you in before a guitar riff straight from Muse smacks you in the face. Vocals littered in confidence and cockiness ooze over the song and mark this as the highlight of the album; the seduction of the melody will have you playing this song over and over again. Live This Forever sounds exactly like previous songs on the album, what with the repeating of the short, sharp licks of the guitar and the heavy drum beat but that fact is quickly forgotten when Fake Love kicks in. Guitars so quick it’s hard to keep up with them carry the frustration and bitterness of the lyrics like a wave, before the cries of “Fake, fake, fake, fake, fake love” slow proceedings down. Album closer Streets Full Of You is an unfitting end to an album that has served so well in showing that women can do rock just as well as the men. The ballad takes too long to break back into the rock that they have showcased up until that point, causing you to lose interest by the time the drop comes. There is no doubt that with a debut like this, Heel are going places. Messy and a little confused it may be in places, but it never fails to deliver when it is needed, and, with the charts the way they are now, music like this is definitely needed. 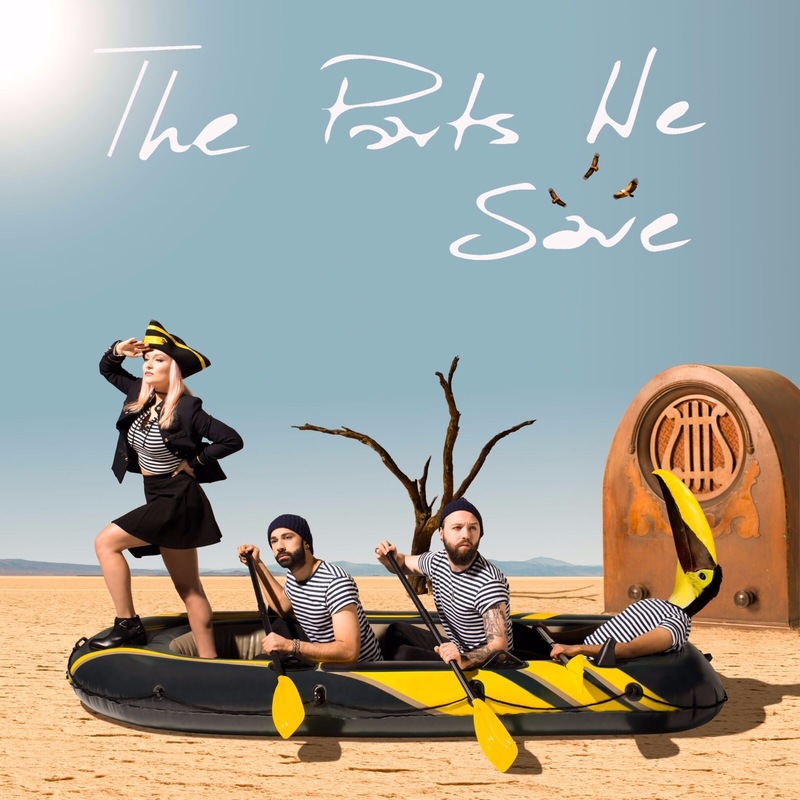 ‘The Parts We Save’ by Heel is released on 4th March. Next Post FEATURE: The BRITs: What Is It Really About?